Home / Skin Care / How to Get Rid of Corns? 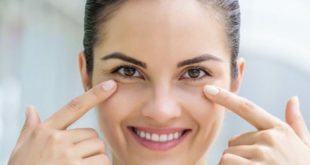 Sallie Skin Care Comments Off on How to Get Rid of Corns? In this article, we will discuss ways to get rid of corns. Having a corn on feet makes you uncomfortable while walking. Corns can become painful and can make walking difficult if they are left unchecked for a long time. When the skin starts to experience friction or pressure, even in high heels for women, corns are possible to develop. However, the reasons behind these corns may be different for everyone.В It is also important to know here that Diabetic people or other people with health conditions that cause poor blood circulation have a higher risk of developing corns and they can experience problems from it. Sometimes these corns may be painful and sometimes not. The thing is, one should always try and find the reason behind the corns and never keep repeating the things which led to those cons. The best thing here is that you donвЂ™t need to consult a doctor in order to get rid of corns. 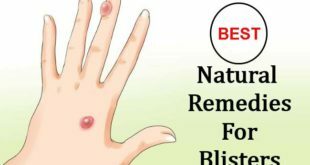 Some simple home remedies not only help you to get rid of corns within the comfort of your home, but also help you to heal the skin in a much better way without any side effects. However, always keep taking precautions even while practising these at home. Corns are small circles of hard, thickened skin that develop when the skin is exposed to excessive pressure or friction. In fact, corn is a type of callus, a cone-shaped callus that develops mostly between the toes, although these can also develop on the soles of your feet and other body parts. People with bunions or hammertoes, damaged sweat glands, scars or warts on their feet are more likely to get corns than others. Walking or running in ill-fitting shoes is the most common cause of these corns. Other possible causes are walking without wearing shoes, wearing shoes without socks, and manual labor or taking part in sports activities that put pressure on the feet. Discomfort while standing and walking. 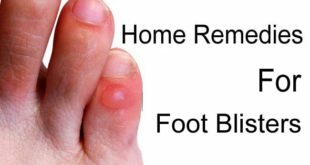 This wonderful ingredient from the kitchen helps to treat the blisters really well. Its ability to neutralize acidity works excellently well in treating the skin. To benefit from baking soda, just take a teaspoon of baking soda and mix it with a little water to make a smooth paste. Now apply this paste over the corns and let it sit for about 10 minutes. Rinse off with lukewarm water. Do this treatment at least 4 times a day for 4 days to see noticeable results. 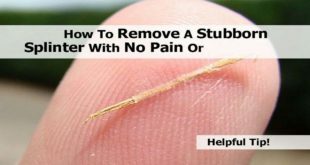 It is one of the most commonly practiced remedies to get rid of corns really fast. The citrus acid in lemon works to soften the hardened skin that makes up the corn, so it eventually falls out. It is one of the best remedies to get rid of corns easily and to help heal your skin at the earliest. However, your skin itches with this remedy, then opt for a different remedy for yourself. To benefit from lemon, soak two pieces of cloves in one tablespoon of fresh lemon juice for 15 minutes. Remove the cloves and rub the lemon juice on the corn. Then apply the juice again after sometime after the juice has dried with the first application. Repeat several times a day to get rid of corns quickly. You can also mix one teaspoon of BrewerвЂ™s yeast with a little lemon juice to make a thick paste. Slather the paste onto the corn, cover with a bandage, and leave it on overnight for the corns to get treated. Both these remedies work really well on the corns. Using licorice is one of the best treatments to get rid of corns. Licorice also has excellent antiviral and anti-inflammatory properties that help to provide a lot of relief from the pain and itching. Just take a tablespoon of licorice powder and mix it with half a teaspoon of fresh water. Now apply a thin paste of this mixture over the corns and cover it. 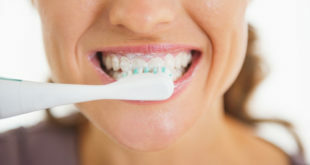 You can also use petroleum jelly in place of water. 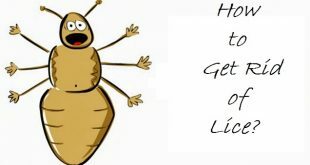 Alternately, take licorice root tea as well as aid the benefits. There are several enzymes in papaya that will help slough off the hard and dead skin. It is one of the best natural ingredients for getting rid of corns easily and for helping the skin to heal with a few applications. Papaya has long been used an active ingredient in a lot of skin infection as well. Papaya can ease any pain or discomfort and even help the corn dry up and fall off faster. However, try and use raw papaya here.В To benefit from papaya, Grate a small piece of raw papaya and extract its juice. Take a cotton ball, soak it in this solution and apply on the corns securing the cotton ball with a tape.В Leave it on overnight. The next morning, use a pumice stone to gently exfoliate the skin. Repeat daily until you are satisfied with the result and you get rid of corns completely. The healing time may be faster here because this oil penetrates easily into the skin. It also serves as a natural antiseptic and helps to get rid of corns effectively at home. A lot of people around the world opt for this oil for their corns to get treated and are known to have seen astonishing results here. The best way to use turpentine oil is to melt one-fourth cup of extra-virgin coconut oil in the microwave. Mix in one tablespoon of turpentine oil and two tablespoons of camphor oil and let the mixture cool. Next, soak your feet in warm water for a few minutes, pat dry and then apply this homemade cream on the corn. Store the rest in an airtight jar. 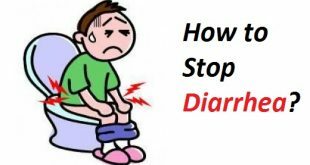 Repeat two or three times daily for getting rid of corns really fast.В Keep practicing this remedy till you see the corns disappear completely. For treating corns the peel of the pineapple is more effective than the flesh inside.В In fact pineapple peel works like magic on the skin and helps you to get rid of corns within just a few applications. Pineapple has some excellent compounds that work well on the skin and help to get rid of any kind of skin infection effectively. The peel also contains certain enzymes that help soften the corns and help you to get rid of corns really quickly. To benefit from pineapple, cut a small square from a freshly removed pineapple peel. Put the inner part of the peel over the corn, secure it with a bandage, wear a sock and leave it on overnight. Remove the bandage, wash the area and then apply some coconut oilВ over the corns the next morning. Use this remedy every night for one week or until the corn comes out. The thick oil keeps the affected area moisturized. It accelerates the healing process and is very helpful in reducing the itchiness to a great extent. Another very effective as well as a simple remedy to treat corns is castor oil. Mix ВЅ cup of white vinegar and 3 teaspoons of castor oil. Rub this solution gently on the corns several times a day for a few days. Alternately smear some castor oil on the corns and leave it on overnight. Do this daily for 2 or 3 days and the corns will soon dry out. Castor oil works really well to get rid of corns completely and helps to soothe the skin to a great extent. However, make sure you are using pure organic castor oil for this purpose for maximum relief. Garlic is a natural antiseptic and is not just a good remedy for corns but practically any kind of skin and bacterial infection. To get rid of corns here, take garlic, peel it and make a cut with the help of a knife. Now rub the garlic gently over the corns. You can also make a paste out of some garlic cloves by grating them and applying their paste directly. Do this 2-3 times a day for at least 5 days. Notice how garlic helps relieve the pain and the swelling, it is really one of the most effective home remedy for corns. Onions work really well in getting rid of corns really quickly. The sulphur in onions dulls the pain of a blister and helps to heal the broken skin. This super food from the kitchen is indeed great for eliminating the corns completely in a few applications. Here just slice a raw, organic onion and put it directly on the corns. Let it sit for about 10 minutes and then wash off with some water. When you do this, the juice of the onion gets absorbed into the skin and that helps to get rid of corns. Do this remedy at least twice a day to get maximum benefits here. Cornstarch is most easily available in our kitchens and is one of the most popular ingredients for getting rid of corns. This is one of the most favored home remedies for corns as it is pretty safe to use and helps to heal the skin really fast. Cornstarch neutralizes the PH of the sore which helps to soothe the pain and inflammation really well. Here just make a smooth paste of a little corn starch and water and apply this to the corns. Leave for some time and then wash off with lukewarm water. Do this at least twice a day for 4-5 days to get rid of all the corns. One of the best ways to prevent infection and reduce pain and inflammation is using apple cider vinegar. Apple cider vinegar is also a very effective remedy for corns on the foot due to its antibacterial and anti-inflammatory properties. Mix 1/2 teaspoon of onion paste with 1 teaspoon of apple cider vinegar. Apply the mixture on the corns, allow it to dry and then rinse it off with warm water. Dip a cotton ball in apple cider vinegar. Apply it gently over the corns and let it sit for some time. If it stings, dilute the apple cider vinegar with water first. Follow any of these remedies for a few days to get rid of corns effectively. Apple cider vinegar is almost magical in treating these corns and helps to heal the skin in a better way. It is commonly used here for getting rid of corns fast. Chamomile tea works really well to get rid of corns completely in a few days time. To benefit from chamomile, take one cup of water and bring it to a boil. Now take 3 tbsp of chamomile leaves and add to the boiling water. Boil for another 2 minutes and then let the leaves steep in the water for about 10 minutes. Strain and then drink this tea. Do this remedy at least 3-4 times a day. Chamomile helps to relieve the pain and settle the corns almost instantly. Do it the next time you suffer from corns and see the difference yourself. A pumice stone will remove dead, hardened skin, in turn reducing pain and speeding up the recovery time. It is one of the safest and most effective remedies to get rid of corns. In order to use a pumice stone, before going to bed, soak your feet in comfortably hot water for 10 minutes to soften the hard skin. Pat dry your feet after gently rubbing a pumice stone back and forth across the affected area for three to five minutes. 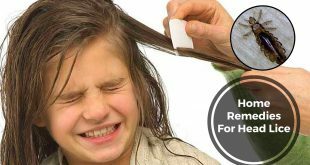 Dip a cotton ball in castor oil and place it on the corn. Leave it on overnight after securing it with the help of a tape. 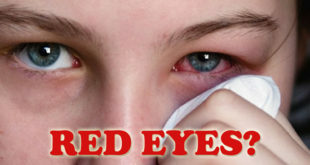 The next morning, remove the bandage and apply castor oil several times a day. Repeat the treatment for several days until the corn is fully removed and you get rid of corns naturally. Avoid going barefoot and wearing flip-flop sandals. Do not cut or shave corns as it can increase the risk of infection. Soak in an Epsom salt bath to get relief from the sharp pain of a corn. Keep your toenails trimmed to prevent pressure on your toes. Apply moisturizing agents like coconut oil, olive oil or cocoa butter to dry corns to soften them. Place protective covering or pads over the corn to decrease friction and pressure on the skin. Make it a point to wash your feet and hands with soap and water every evening. Wear properly fitted and comfortable shoes, with extra padding if needed. Previous How to Treat Bronchitis Easily at Home? Next How to Get Rid of Freckles? 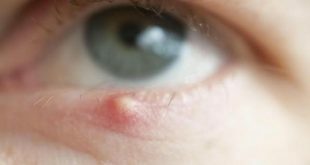 How to Remove a Skin Tag? 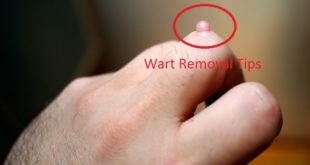 How to Get Rid of a Wart? 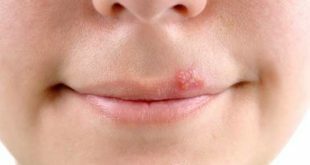 How to Get Rid of a Cold Sore?